Israeli soldiers killed, Tuesday, two Palestinians, and injured many others, in a series of air strikes targeting residential buildings, lands and structures, in various parts of the Gaza Strip. 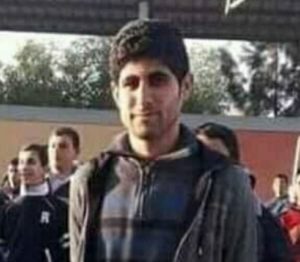 Dr. Ashraf al-Qedra, the spokesperson of the Health Ministry in Gaza, said the army killed Mos’ab Hos, 20, in Malaka area, east of the Zeitoun neighborhood in Gaza city. The Israeli missile severely mutilated the remains of the slain Palestinians, and caused various injuries and burns to at least three others. 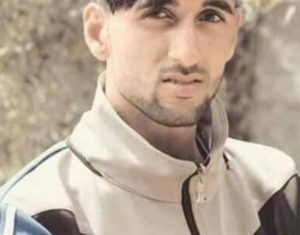 Dr. al-Qedra added that the soldiers also killed Khaled Riyad Ahmad Sultan, 26, who working on his own farmland, in the Salateen area, west of Beit Lahia, in northern Gaza, after firing a missile at his land. Their deaths bring the number of Palestinians, killed by Israeli army and shells in Gaza, in less than two days, to six while dozens have been injured, some seriously. Furthermore, the soldiers injured at least two Palestinians after the army fired missiles into an area near a local mosque, east of Rafah, in southern Gaza. 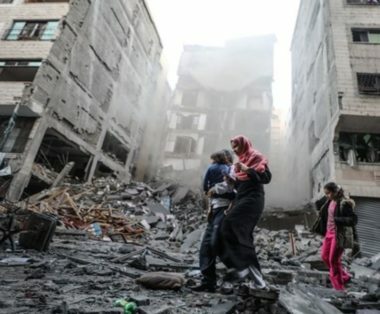 It is worth mentioning that the Israeli army carried out many strikes in several parts of the Gaza Strip, causing excessive property damage, including many buildings and roads. An Israeli fighter-jet fired missiles into a residential building in the densely-populated ar-Rimal neighborhood, in the center of Gaza city. The building, owned by members of the al-Yaziji family, was completely leveled to the ground, while many surrounded homes and properties were damaged. The escalation came hours after the army targeted many residential neighborhoods, and various buildings, including government-run facilities, and a hotel west of Gaza city.